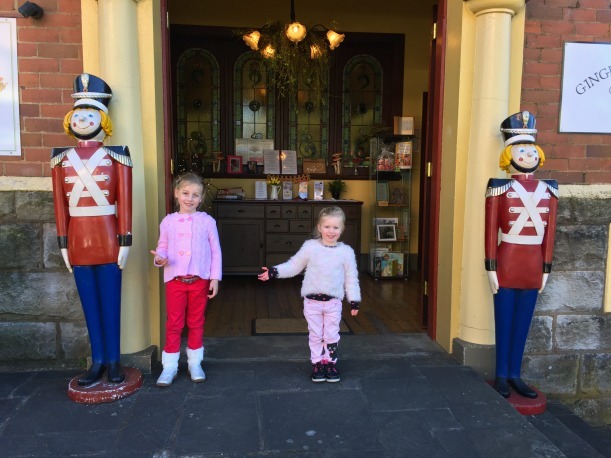 If you’re venturing to the Blue Mountains these school holidays, you’re in for a sweet treat when you visit the Gingerbread House Cafe in Katoomba. This fantastic cafe has everything the tribe needs to be entertained. The tribe couldn’t wait to get inside the Gingerbread House Cafe when we first arrived. 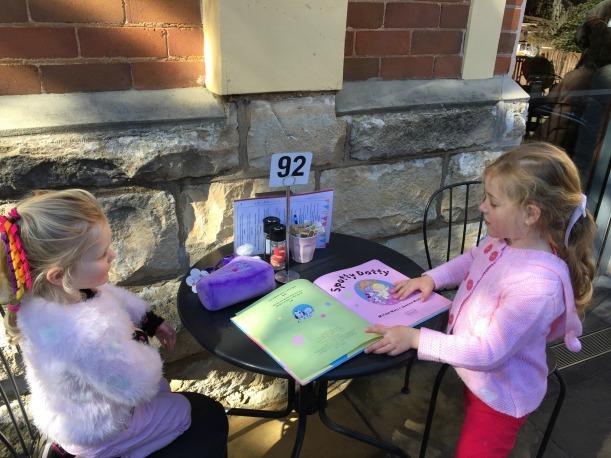 They spied the cubby house in the backyard first and didn’t even wait to see where we were going to sit for lunch before they bolted to explore the yard. There were two mini picnic tables in the yard where they thought they’d like to eat their lunch. They loved the cubby house with its red slide and kitchen toys hidden inside. They were also quick to explore the garden area where they found stepping stone logs around a big tree and a little fairy house hidden among the logs. 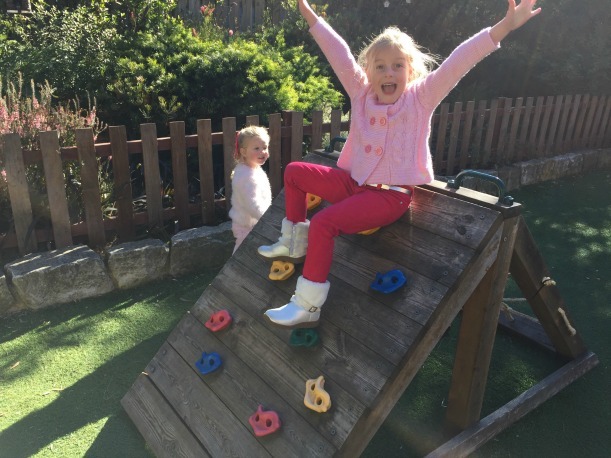 They also waited patiently to climb on the rock climbing frame as that was incredibly popular with all of the tribes at the cafe. 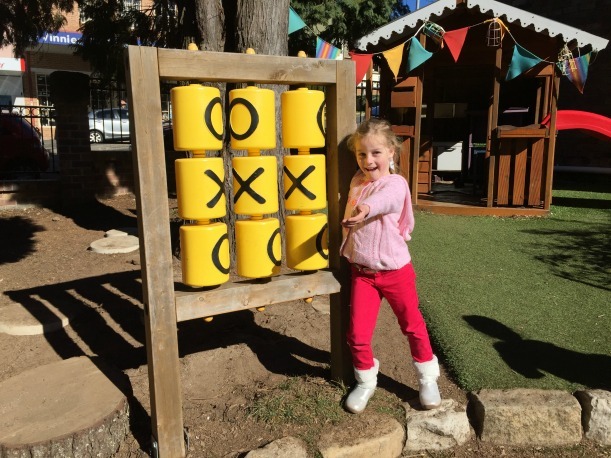 There was a noughts and crosses game that we could all play together also in the backyard – and most importantly – they had placed a big basket of warm red throw blankets to put over our legs if we chose to sit outside with the play area. Once we ventured inside, we discovered a Free Library where the kids could borrow a book – if you do visit the Gingerbread House Cafe, bring some old books with you as you can exchange your old books with the books in the Free Library, but today we just sat and read two of our favourites then returned them. The most exciting part of visiting the Gingerbread House Cafe was finishing our lunch so we could go inside and choose some sweets to take home! With a gorgeous gingerbread style house in the centre of the cafe, you are spoiled for choice inside! 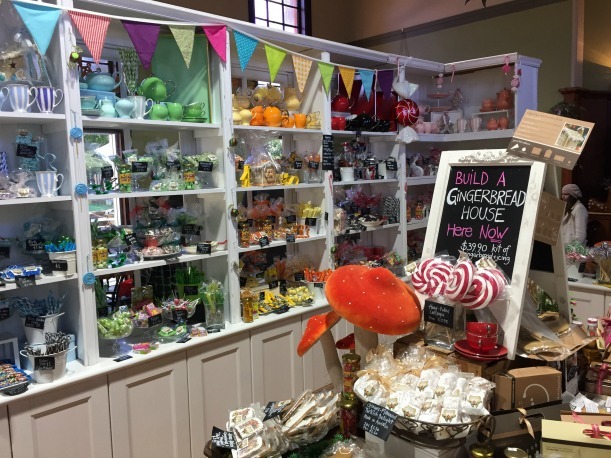 You can pick from all sorts of lollies, gingerbread men, gingerbread fairy bread or even mason jars with ready to make cookie ingredients! You can also get a scoop of ice cream or some fairy floss or if you have some time on your hands – you can book in to build a gingerbread house with the tribe right then and there! We felt like Hansel and Gretel in the sweet Gingerbread House Cafe. 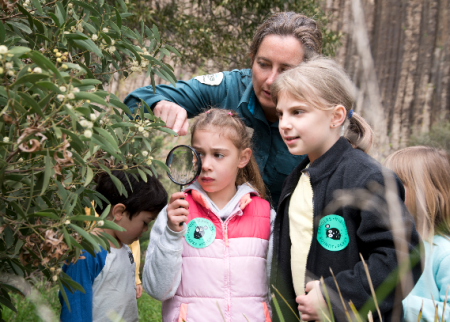 Definitely worth a visit if you’re in the Blue Mountains with the tribe! 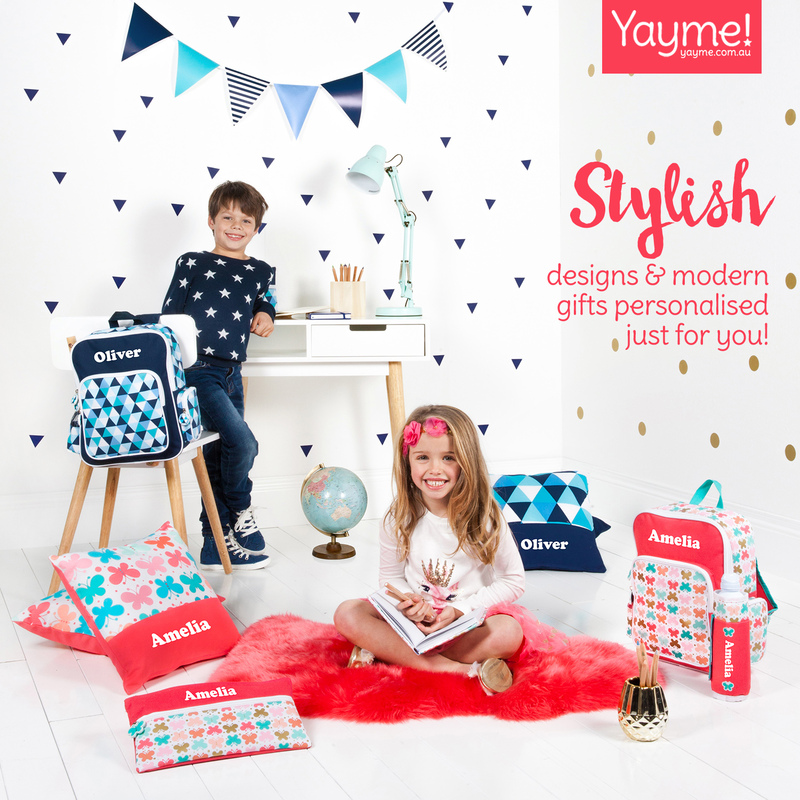 Also be sure to check out their website for their school holiday activities especially for the tribe!